Sweet, sour, spicy and savoury – a diversity of flavours makes the Tom Yum Goong a palate teaser and crowd pleaser. A bold selection of ingredients, such as lemongrass, chili, galangal, lime leaves, shallots, lime juice and fish sauce gives the dish an appetising kick, while chunks of seafood and vegetables add texture and crunch. This versatile dish can be enjoyed with a bowl of rice or a helping of the chewy Thai rice noodles. 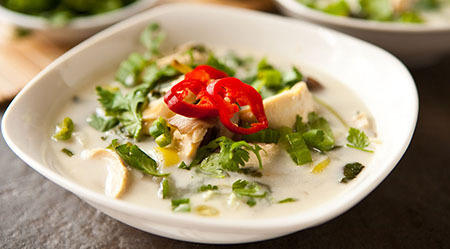 If you love having spicy, creamy and tangy flavours all in one bowl, the chicken in coconut soup is one dish that is not to be missed. White in colour and rich in texture, a bowl of this delectable treat will arrive at your table filled with generous chunks of chicken and vegetables. Milder in spice and flavours compared to the Tom Yum Goong, the soup whets the appetite of diners with its fiery chilies and aromatic herbs. You will easily polish off a bowl of rice (or more) when you savour your carbs with this dish. This one-plate item makes for a satisfying lunch or dinner. A fond favourite among locals and travellers alike, a plate of fried basil and pork tantalises tastebuds with an eclectic ingredient list made up of basil leaves, fresh chilies, green beans, soy sauce, minced pork and a dash of sugar. Do note that this dish possesses a high level of heat, so ask for less chilies if you cannot tolerate spicy foods well. 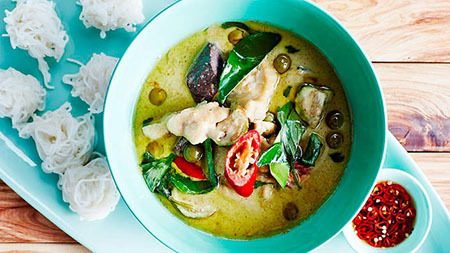 The dish of green chicken curry has won over a legion of fans – all eager diners who greedily slurp up every single drop of the curry from their bowls. We understand this perfectly, for this is one bowl of green goodness not to be missed. Tender morsels of chicken, soft eggplants, crunchy long beans and chewy bamboo shoots complement the richness of the coconut milk, and lend body and flavour to the curry. A Thai interpretation of a Persian dish, the massaman curry wins over diners with a mild heat mellowed out with the addition of dried spices, coconut milk and potatoes, as well as an aromatic flavour from the use of a blend of spices not often found in other Thai curries. 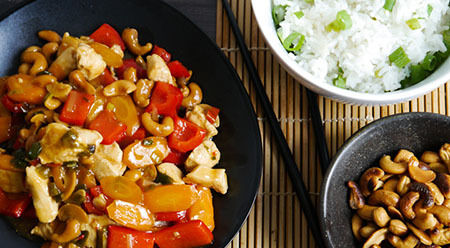 Similar to most Thai dishes, the chicken with cashew nuts boasts a diverse flavour profile, seamlessly blending together sweet, spicy and savoury. Chilies bring heat to the dish, cashews add an irresistible crunch, and the sweet soy sauce lends a honeyed flavour that makes diners yearn for more. A tasty dish of curry and noodles, the khanom jin is a popular breakfast choice among the locals. Thin and chewy rice noodles are topped off with a variety of fresh herbs and vegetables, before being doused in the curry of your choice. 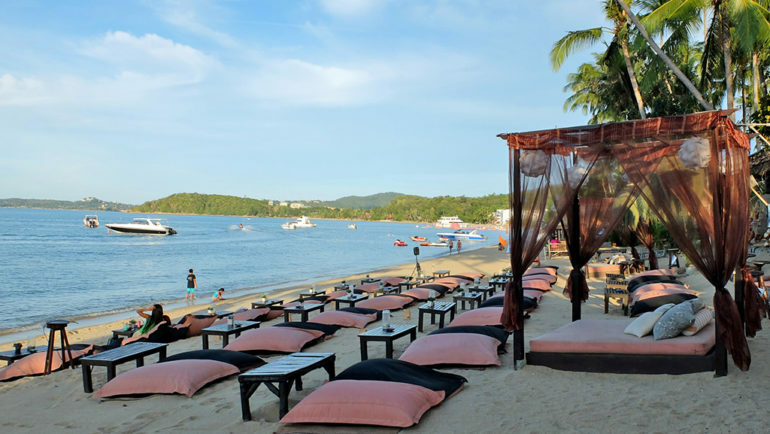 Take your pick from popular options like the green curry or chicken curry, or more exotic varieties, such as the nam ya nam-prik wan, a gravy of coconut sugar, coconut milk and chili or kang tai pla (fish guts curry). If you are feeling a little curried out, or if the strong flavours of most Thai dishes are too much to handle, give your palate a break by opting for the light-tasting gang jued. 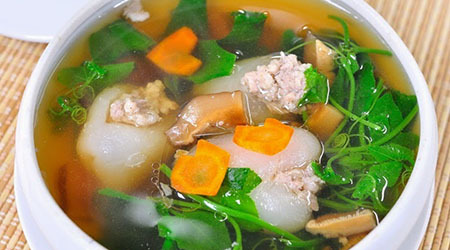 This clear vegetable soup packs a healthy punch with its combination of wholesome ingredients such as carrots, cabbage, onions, pork, tofu and glass noodles. 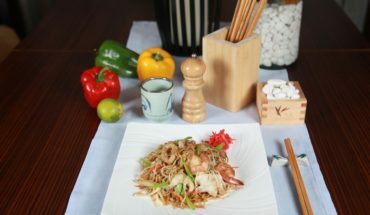 Even if you have never tried this item, you would definitely have heard of Thailand’s renowned green papaya salad. This salad packs a mean punch by delivering on both taste and texture – the addition of tamarind juice, fish sauce, lime juice, sugar cane paste and chilies adds a touch of sweet, salty and spicy, while grated green papaya, peanuts and sticky rice provide an addictive crunch and chewiness. Eggs, beaten up with a dash of fish sauce and soya sauce, is fried along with minced pork to create a tasty omelette. 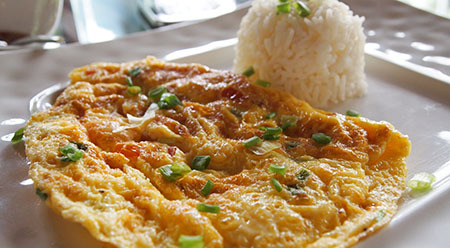 The comfort food of choice for many, the omelette is best eaten with a splash of chili sauce and a bowl of steamed rice. This Isaan dish of minced pork and liver gets it tangy and savoury flavours from a mix of lime juice, fish sauce, mint leaves, onions and chilies. 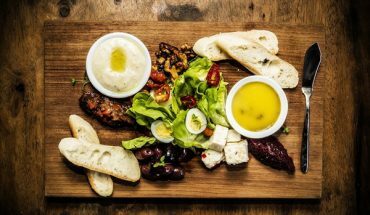 An amazing sticky rice dip round out the diverse tastes of the meat salad.